You can print Client Organizers in ProSeries directly to SmartVault. Client Organizers are then routed to the respective client’s tax engagement. 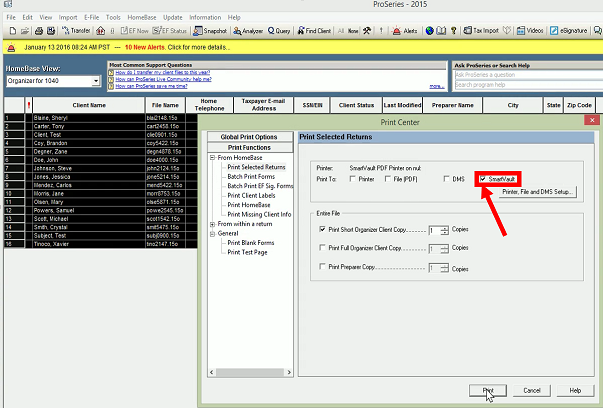 Note: Printing Client Tax Organizers directly into SmartVault only works in ProSeries 2015 and later. 1. 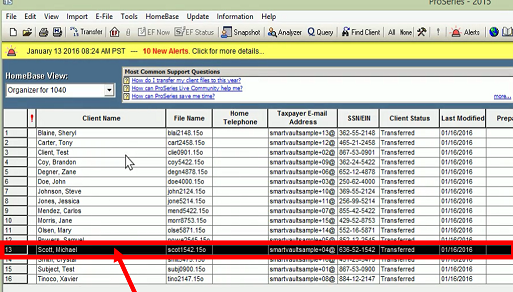 In ProSeries, go to the HomeBase View and select Organizer for 1040. 2. Select one or more of your clients in the Organizer for 1040 view for which you would like to print organizers. 3. Enable the SmartVault checkbox, select the type of organizer you would like to print, and click Print.